New Delhi: The Delhi Metro Rail Corporation (DMRC) deployed nearly 200 Ex-serviceman to watch the security and crowd management at various metro stations of Airport Express Line and the Kashmere Gate to Rajiv Chowk stretch of Delhi Metro’s Yellow Line, one of the busiest sections of the metro network. 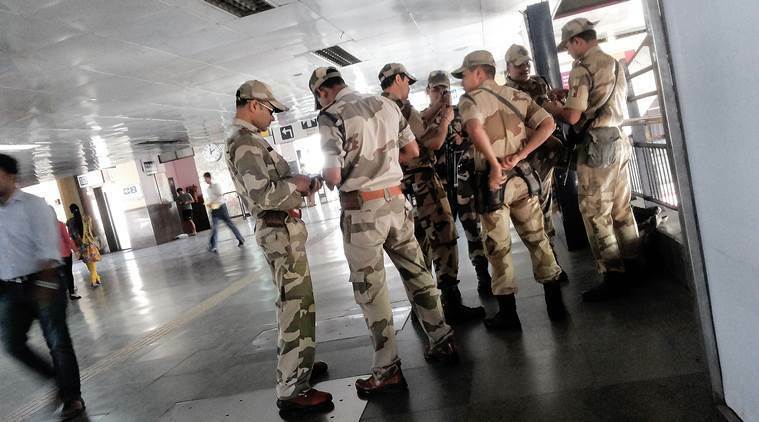 DMRC has deployed ex-defense personnel for not only better crowd management and discipline at stations, but also to be on the lookout for suspicious commuters and to prevent suicide attempts. “Under customer facilitation services, these ex-servicemen provide services at station platforms, automatic fare collection (AFC) gates, circulating areas of station and other locations in and around the station premises, including station access points, galleries, ticketing areas, staircases, escalators etc. Under watch and ward services, they guard the service buildings (ancillary building, DG room, chiller plant, cooling tower), theft prone areas, etc. “A total of 183 personnel have been engaged at these five stations ” said a DMRC spokesperson. According to DMRC officials, the ex-servicemen are trained to be customer oriented while dealing with commuters and general public. The work profile of the ex-servicemen include overall crowd management, ensuring proper queuing of passengers on the platforms, assistance to differently-able passengers, guiding passengers on their queries related to journey and keeping entry and exits free from encroachment by vendors, vehicles, beggars, etc. The Army Welfare Placement Organization, a registered society, is facilitating the services of these ex-servicemen to DMRC. Sir Ex Subedar of Intelligence and Security Department (army). vast knowledge of personal, information, material, office and installation security. looking for job in DMRC. Sir,ex-H/sub Maj of Arty Regiment.present in security shift Incharge in SIEL(N) best knowledge of security man/ material, x-ray machine DFMD, frisking man / material.looking for job .